1 1. When is Songkran Festival celebrated generally? 2 2. What is Songkran? 3 3. Why is Songkran Celebrated as Festival? 5 4.When is Songkran Celebated in 2018? 6 5. Songkran 2018 in Bangkok? 1. When is Songkran Festival celebrated generally? Songkran Festival takes place in April. Songkran festival is Thailand’s most famous festival. This water festival marks the beginning of the traditional Thai New Year. Songkran is the Thai New Year’s festival. The Thai New Year’s Day is 13 April every year, but the holiday period includes 14–15 April as well. 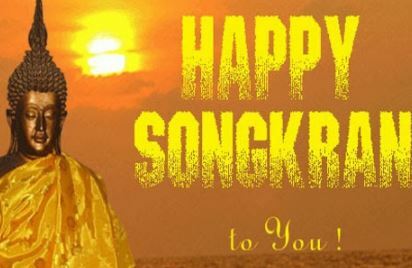 The word “Songkran” comes from the Sanskrit word saṃkrānti (Devanāgarī: संक्रांति), literally “astrological passage”, meaning transformation or change. 3. Why is Songkran Celebrated as Festival? 4.When is Songkran Celebated in 2018? 5. Songkran 2018 in Bangkok? 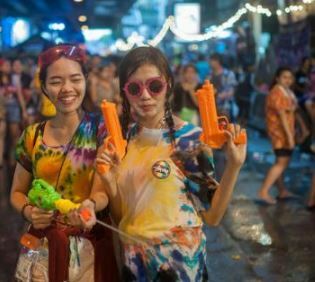 Songkran 2018 in Bangkok – Having fun is a big part of Thai culture, and having fun amidst scorching heat is no exception. The hottest month of the year, April sees the entire country go bananas in friendly water fights and street parties that last nearly a week. During Songkran, most office buildings, banks are holiday.